August 24, 2011: Democracy, politics, governance and accountability – historically misunderstood in theory and practice, these attributes of state governance need to be properly addressed in order to improve every aspect of the body politic, especially health systems performance. Our recent Independence Day Commemorative Viewpoint, which focuses on this can be downloaded here. In this rapidly changing globalized and inter-connected world, some recent events are compelling us to redefine existing norms and practices. Burgeoning tensions earlier in the Middle East highlighted the need to accord higher priority to mainstreaming democracy. Recent riots in Europe underscore the salience of social reform whereas the global financial crisis necessitates greater attention to transparency within global and domestic financial and regulatory systems. Pakistan is undergoing unprecedented transformations in this changing world. The country has opted for deep-rooted reform of its federating system through the 18th Constitutional Amendment at a time when many conventional as well as human security challenges lurk on the economic, social, and demographic fronts. The local government system is in flux, calls for new provinces are echoing loud, and remodeling of governing arrangements has become the basis of settling political disputes. Can these broader brush “reform” measures enable Pakistan to address its core systemic distortions, its key determinants of past failures and the challenges we are faced with today? Do reform attempts grounded in constitutional amendments and ordinances hold promise? Can separating territories, carving provinces, redefining government hierarchy and redrawing boundaries improve governance? Can these changes transform resource utilization and help achieve equity? Can they improve the ability of the government to accrue benefits to people, root out extremism and ensure a peaceful positive role for Pakistan in this globalized world? The purpose of this Independence Day commemorative comment is to underscore that without embracing five attributes, any reform, no matter how radical, will not work. I will attempt to draw attention to what these attributes actually mean, as some of these are terribly misunderstood. “Democracy” is the first misunderstood term in this respect. Democracy, which is conventionally understood as ‘majority rule’ is not just about popular vote. It is a set of institutional arrangements or constitutional devices. It is about individual behaviors and practices of openness and collective deliberations, consensus-building, participation, and evidence-guided decisions in state governance, as well as governance of the political parties themselves. And it is about values of liberty, equality, freedom, and rights. The advent of majority rule is a positive step in Pakistan and democracy must be supported so that it can take root. However, alongside, it is equally important to ensure constitutional restraints upon any elected government. The second misunderstood term is “politics”, which refers to matters relating to the organization of the affairs of the state. The instrument of politics, or political institutions have a specific role, which has to do with fostering and providing human resource and the strategies and tools for the purpose of organizing the running of the state and its organizations. Training and identifying effective leaders is one of its core functions. Since politics is about gaining control of representative institutions, some level of power play is expected. However, in our country, power struggles, internal disputes, personal rivalries, and individual and institutional divides and their interplay with ethnic and religious tensions have assumed preeminence. Consequently, our societal political culture has also been aligned on similar lines. This fundamental misconception needs to be corrected. The true essence of politics must be understood and practiced. “Governance” is the third misconstrued attribute. The act of governing has been defined as “decisions that define expectations, grant power, or verify performance”. Related processes and systems, which involve management or leadership, are typically administered by a government, which is where we tend to place the onus of responsibility—and for good reason. Bureaucratic quality, governance capability, capacity of political authorities, policy consistency, and implementation capacity deeply impact overall growth and development, public services, and the business environment. But other actors should also bear the responsibility for how we are governed. When tax payers scheme with tax administration, when private entities collude with regulators in allocation of subsidies, licenses, quotas and price ceilings, when commercial interests bypass procedures in order to increase market shares and when some business entities exercise influence to modify policies to suit their interests, they become parties in undermining governance. When contractors are in cahoots with procuring agencies, citizens subscribe to “sifarish” and actors pilfer resources with private sector accomplices, the role of actors outside of the government in shaping governance is additionally evident. We, therefore, must know what it takes to govern effectively, and what our respective roles are. In the fourth place, “corruption” and the closely linked dimension of “transparency” are critically important. The former is often viewed narrowly through the lens of financial corruption, and the latter, which needs to be embraced, is poorly understood. The corrosive impact of state and elite capture, which manifests itself in a number of systemic problems, is not fully appreciated. These include misuse of authority, circumvention of procedures, manipulation of laws, nepotism and cronyism, political patronage, unfair competition, discriminatory tariffs, collusion in price and quality controls and licensing, crony privatization, granting excessive protection, turning a blind eye to regulatory collusion, and the list goes on. There is a longstanding history of attempts to address corruption through disciplinary and penalizing action in Pakistan. In contrast, very little attention has been paid to building institutions and systems that limit opportunities of collusion in the first place. Policies, which enable this, help to institutionalize transparency within the system. There have been some recent positive developments in this respect, such as media freedom, the trend towards judicial activism and the introduction of Article 19-A in the Constitution relating to Freedom of Information. However, transparency-promoting reform necessitates many other measures, which I have attempted to discuss in these columns on March 18, 2008. Lastly, nothing overtakes “accountability” in being misunderstood. The word has been synonymous with politically motivated punitive action and chasing financial scams, which do not leave a paper trail and which our justice system finds very difficult to punish. We do not fully appreciate that accountability, or the lack thereof, is one of the core determinants of the mayhem we see all around us. There is no accountability of decisions that led the country to its present state, riddled with mammoth debt, severely crowded out fiscal space, shameful plight of its public sector enterprises, pervasive extremism, a sprawling government, a crippling energy crisis, and two others in the tow—water and food crises. The low priority accorded to accountability legislation and related institutional parameters, and the excessive list of exclusions from the ambit of accountability in the current iteration of the law, indicate that the attribute and its importance are deeply misunderstood. Without attention to these and some other attributes such as separation of powers and attention to conflict of interest and rule of law, the premise enshrined within reforms cannot be realized. Regardless of the manner in which the provinces are carved, the government hierarchy is stacked, and decision-making prerogatives are defined, key outcomes will not be achieved. Let this be an Independence Day resolution, then. Let us try and understand what these attributes mean for governing. Learning is the first step in order to embrace change, and the need to internalize that in our country is pretty critical. 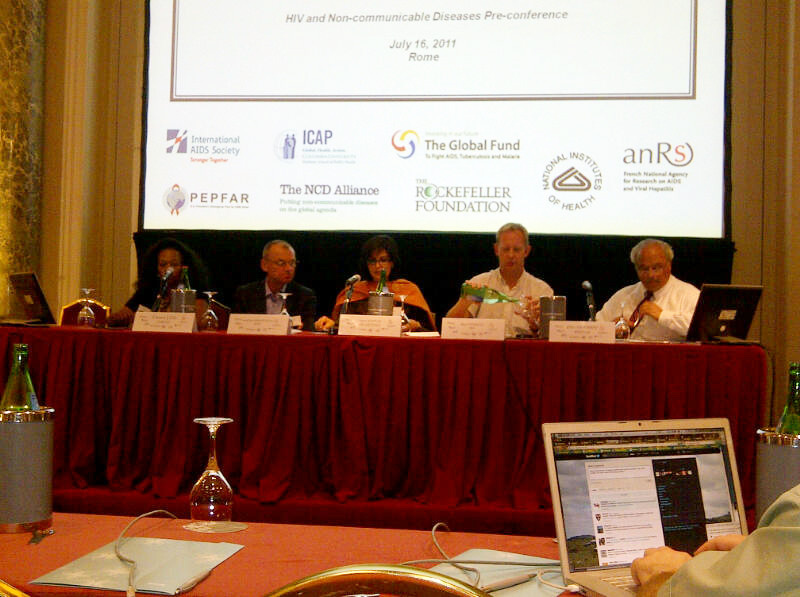 August 12, 2011: the recently held debut meeting of the Aman ki Asha Health Committee in Delhi concluded with a declaration and an action plan for the way forward. 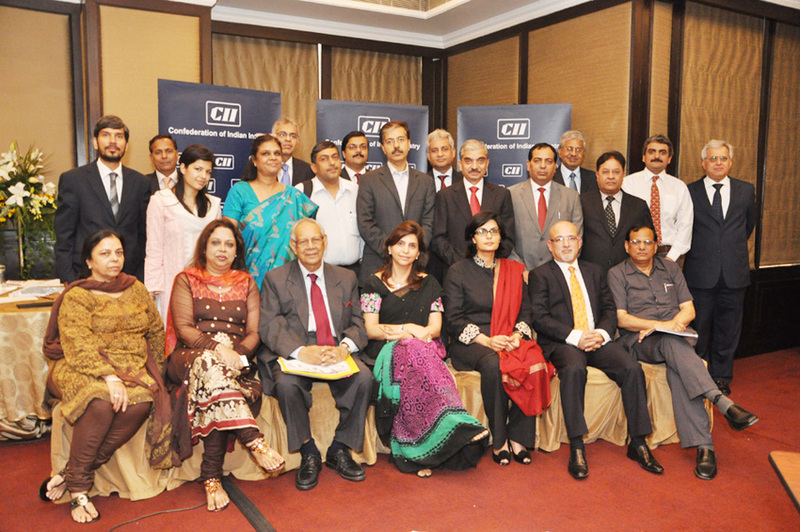 The meeting was chaired by our President, Dr. Sania Nishtar and Dr. Naresh Trehan from India. The outputs of the meeting now serve as the framing context for pursuing mutual learning, sharing of experiences and exploring avenues for collaboration. 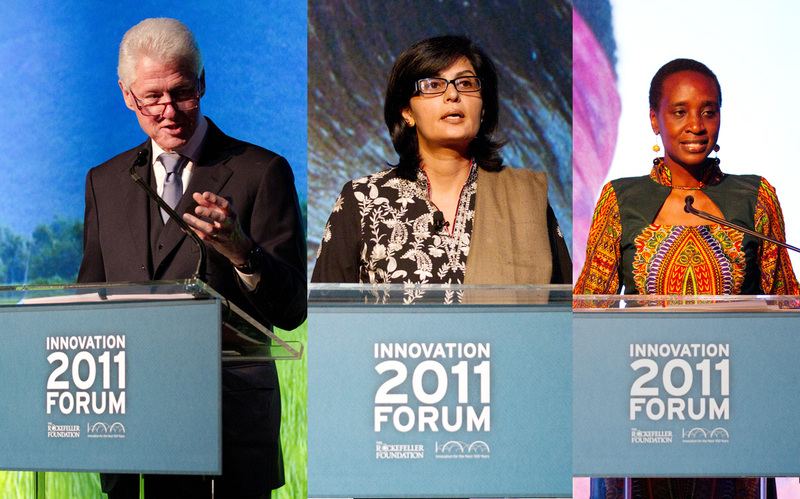 August 09, 2011: Hosted by Wafaa El-Sadr, Rifat Atun and Jean Paul Moatti, the above meeting included an afternoon Panel, which was chaired and moderated by our president, Dr. Sania Nishtar. Panelists included Ambassador Eric Goosby (United States Global AIDS Coordinator), Bart Janssen (Medicines Sans Frontiers), Gottfried Hirnschal (WHO) and Chewe Luo (UNICEF). 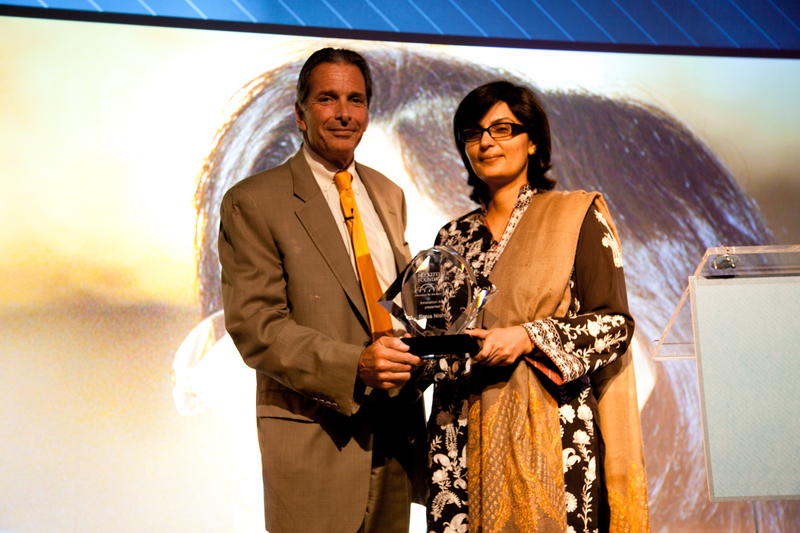 August 03, 2011: As part of its first annual Innovation Awards ceremony in New York held on July 7, 2011, the Rockefeller Foundation honored four Global Innovators, amongst them our president Dr. Sania Nishtar, who received the innovation award for her unique contributions to the field of global health. Other award recipients include President Bill Clinton, Jane Weru, executive director of the Akiba Mashinani Trust in Kenya and representatives from the microfinance organization Kiva in the Classroom. The press release from the event and video footages can be viewed.